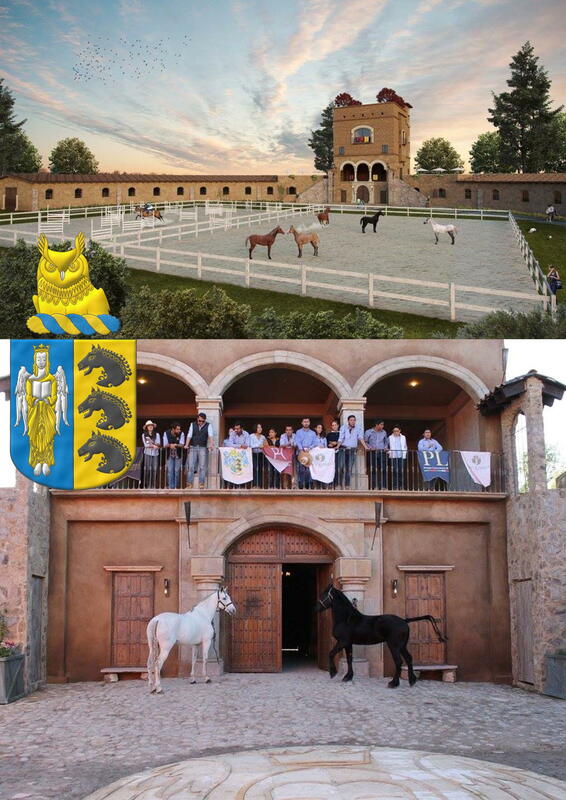 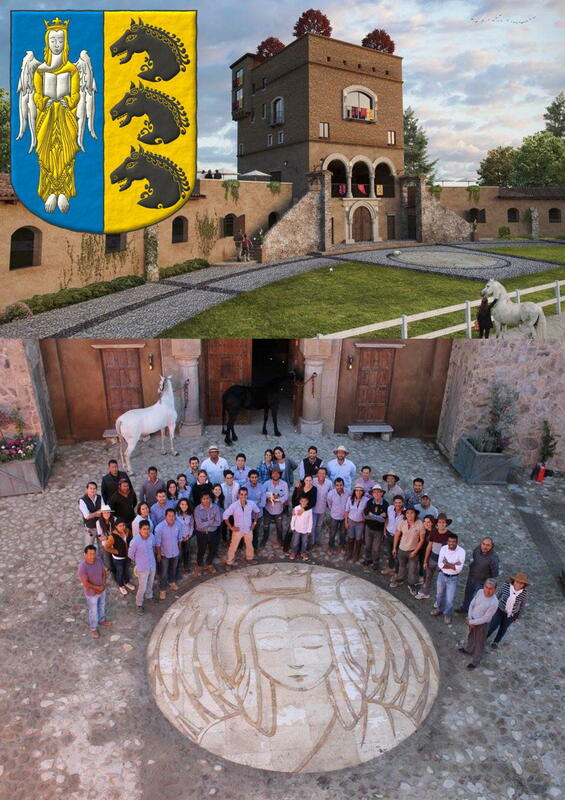 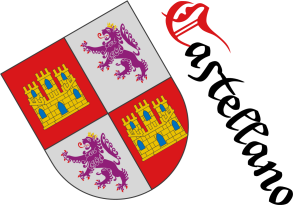 Club Ecuestre Val'Quirico, crest and mantling. 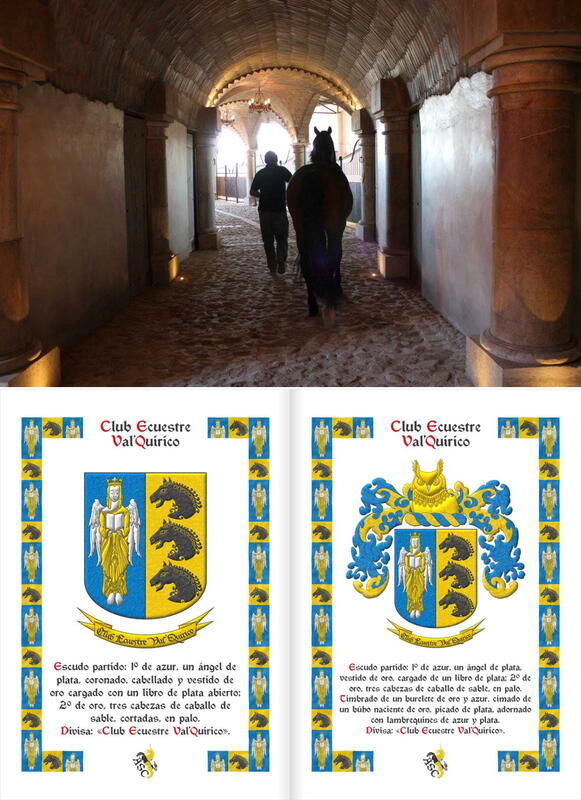 Club Ecuestre Val'Quirico, heraldic document. 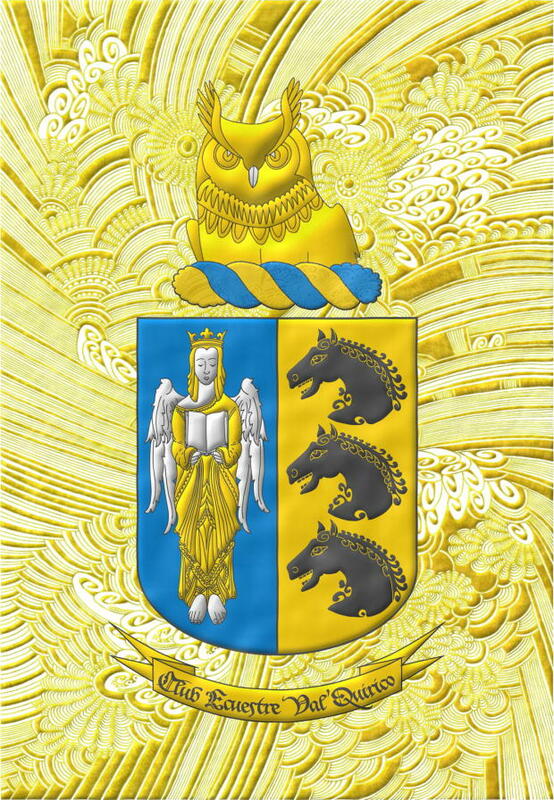 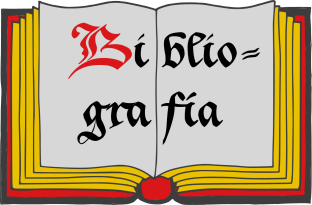 Sigue por: Facebook, Members and Friends of the Order of the Eagle of Georgia. 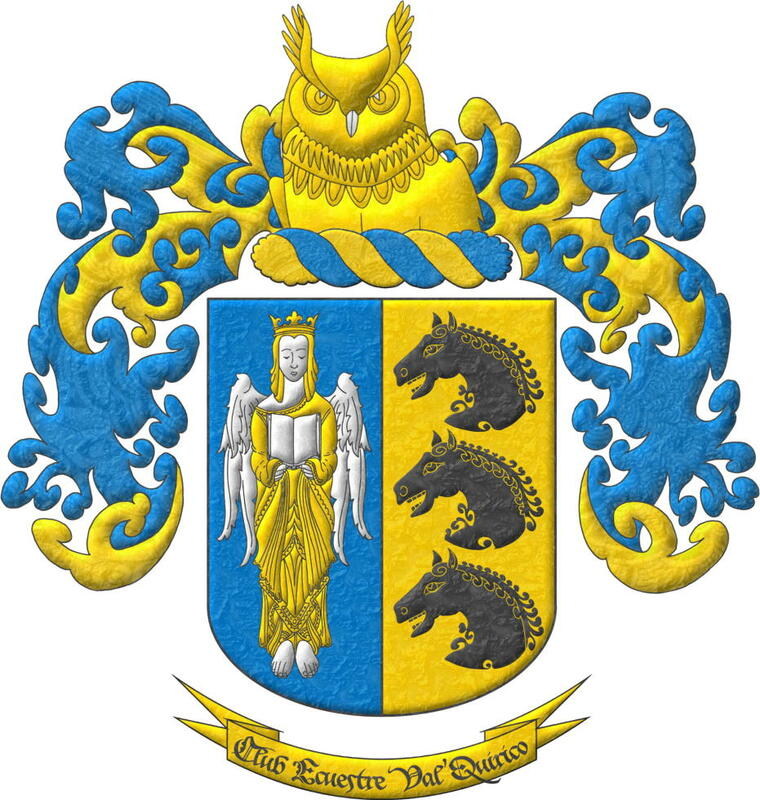 Open, Watercolor, Azure, Bibliography, Wreath, Owl, Horse, Crined, Head, Charged, Catalogue, Chinapieria, Club Ecuestre Val'Quirico, Crown, Crowned, Couped, Created, Crystalline, Outlined in sable, Outlined in the field tincture, Diapered, Motto (identification), In pale, Facebook, Photographic format, Illuminated, Mantling, Castilian language, Book, Nascent, Or, Party per pale, Beaked, Argent, Social networks, Rounded, Magazine, Sable, Century XXI, Socioeconomic, Technology, Crest, Freehand, Three, One, Vested, Eagle and Angel.